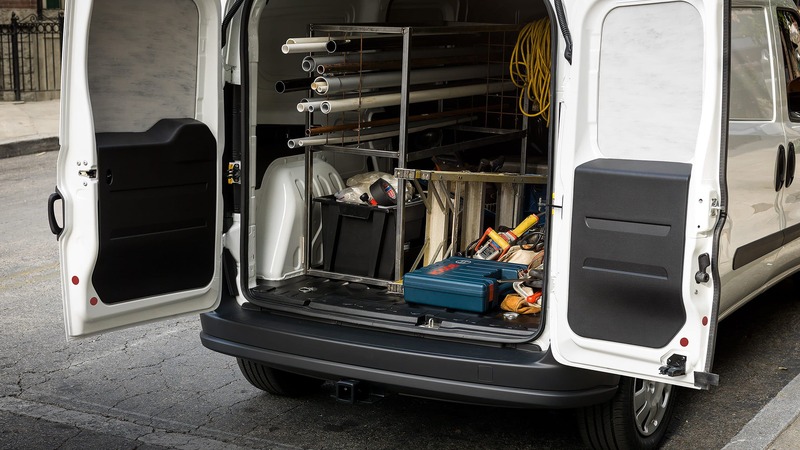 For those who seek best-in-class capability and convenience for their small business in the city, the 2018 RAM Promaster City that seeks to maximize its business-savvy workmanship and flexibility. 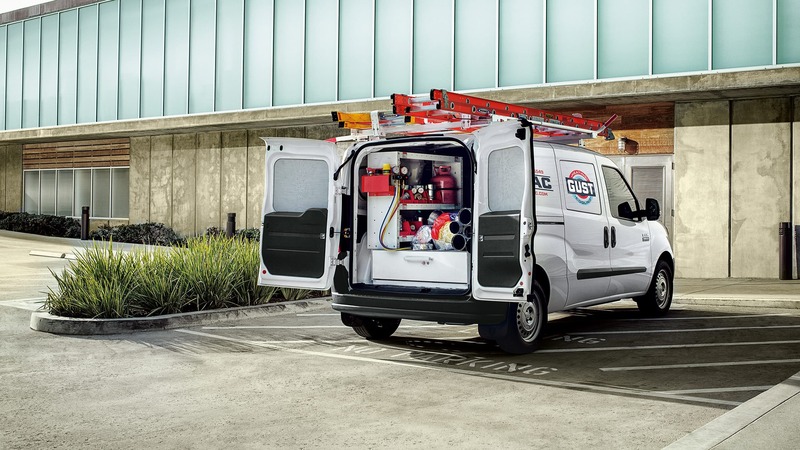 Unmatched in cargo load, towing strength, fuel economy, and engine strength for a Class 1 van, the Promaster City is designed to tackle all the tasks your business may ask of it with superb functionality, handling, and versatility. 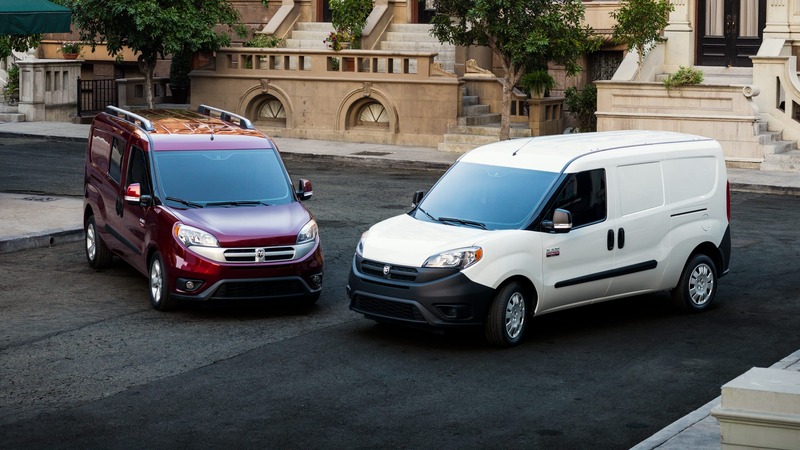 Whether you're transporting equipment, goods, or people, the RAM Promaster City Tradesman Cargo or Wagon configurations will perform the job with precision and professionalism. How versatile is the 2018 RAM Promaster City for my business? Built with European consideration to narrow, before-car designed streets, the 2018 RAM Promaster City is compact for what you might imagine of a van. 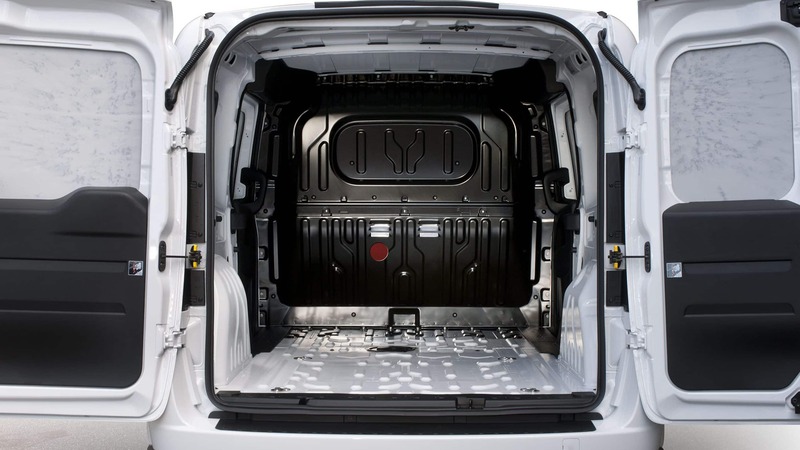 Yet it knows its purpose; the Promaster City Tradesman Cargo's design doesn't allow compactness to hinder its capability as a hauling vehicle. The spacious loading area has a length of 87.2 inches, a width of 60.4 inches (48.4 inches between wheelwells), and a height of 51.8 inches for a total of a best-in-class 131.7 cubic feet for your payload. An optional roof rack can handle the few items that wouldn't fit in such a space. 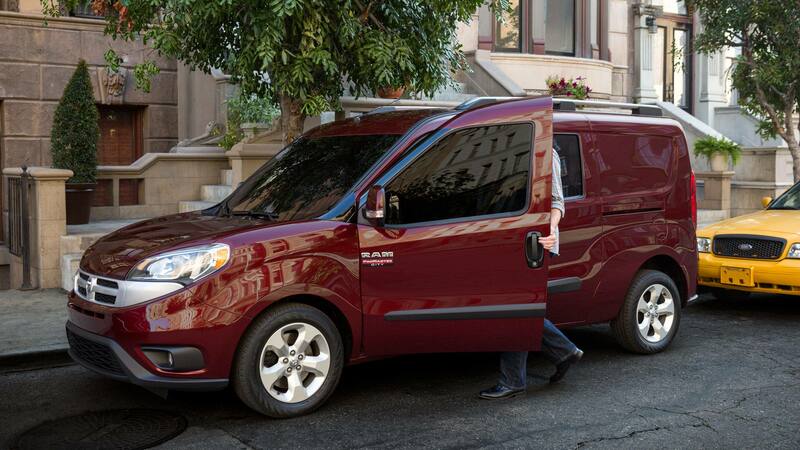 If your cargo is transporting passengers, the Promaster City Wagon contains five seats with a comfortable legroom space of 36.8 inches, just an inch shorter than average midsize sedan spaces. Easy and ergonomic design continue through the driver's day-to-day activities with easy to slip into space for the front cabin, comfortable and supportive seats, and only a 21.5-inch load floor through its 60/40, 180 degree swinging rear doors for low loading or unloading strain. Visibility is great for driving with large windows and a low hood design, and for driver convenience a handy shelf is built above the windshield for paperwork or order forms. Newly standard to every model, the Promaster city now has Bluetooth phone connectivity and a rearview camera for safer driving and easier maneuverability. 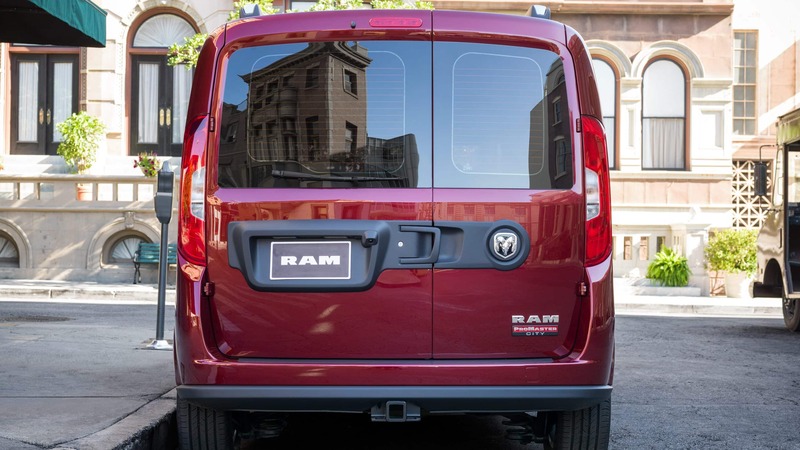 A 178 horsepower, 174 lb-ft torque 2.4-liter 4-cylinder engine gets the 2018 RAM Promaster City wherever it needs to go with great cruising and stability. The nine-speed automatic transmission happily gets up and goes, and does so with great efficiency. 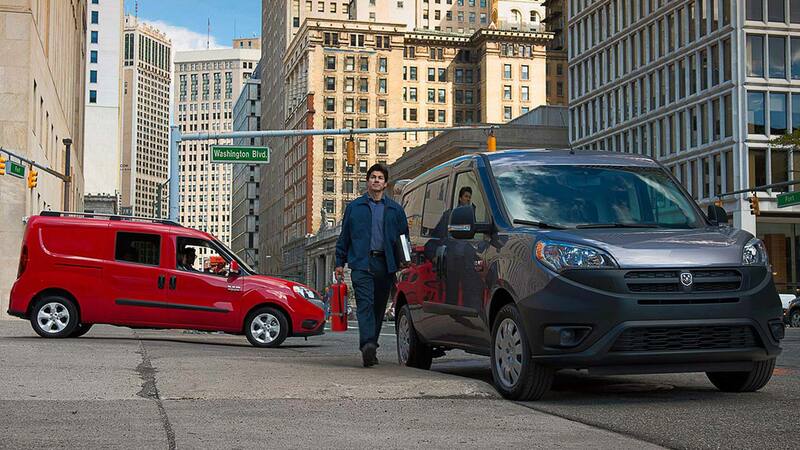 21/28 city/highway mpg means this Class 1 gets the best horsepower for its fuel consumption. Great handling completes the can-do attitude of this van, managing corners well with a 42-foot turning circle and supplying dependable stops with its disc-front/drum-rear antilock brakes. The numbers don't lie either; this is the most capable van offered in America. The 2018 Promaster City has best-in-class 1,885 lb payload weight and 2,000 lb max towing. What safety features come with the 2018 Promaster City? Now standard within every 2018 RAM Promaster City is a 5-inch touchscreen with Bluetooth to handle hands-free phone calls and music connectivity. A rearview camera is also incorporated into the standard features to improve maneuverability. 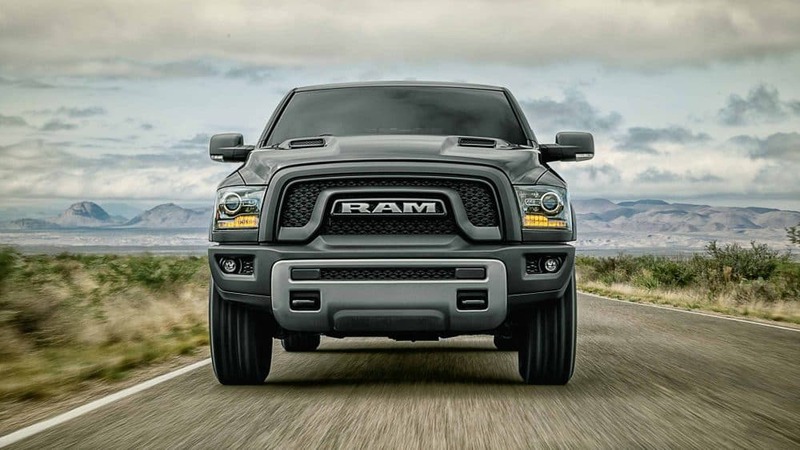 Standard safety features also include 4-Wheel Antilock Brakes, Brake Assist, Electronic Stability Control and Roll Mitigation, and Trailer Sway Damping. Grilles are now optional to add to the windows of the sliding and rear doors. 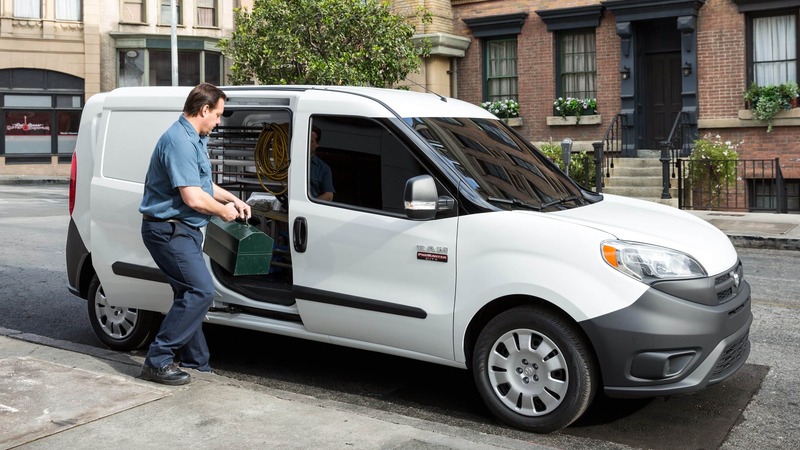 Functional, the most capable, and economic, the 2018 RAM Promaster City is designed to improve your small business and make deliveries or drop offs around the tight corners and busy intersections of the city a breeze. This vehicle cruises with purpose and aims to make day-to-day life easier for your business and your drivers. The easy loading height, maximized storage space, and great weight capabilities is the best you'll find in a Class 1 van today.